Coordinating team work is a great challenge in any organization. There are groups of employees- and there are teams. Both work differently. Usually teams share leadership and members are interdependent. So decide early on whether you want your group to work as a team. 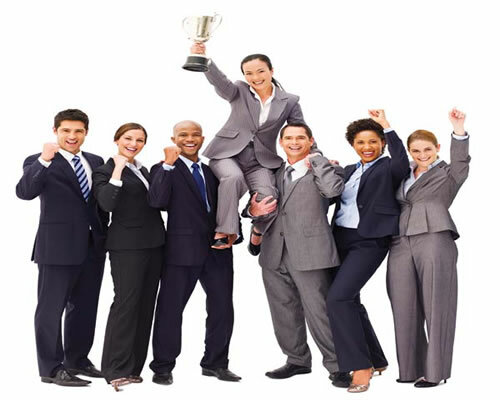 Here are some tips to guide your team to success. Most efficient teams invest their time to lay a foundation which creates a common frame work for everyone. For building blocks you can rely on team dynamics and team infrastructure. Begin by defining the following: the goals of the team and their function as related to business goals etc. Use time management tools online to set deadlines. The various stages for developing a team are: performing, norming, storming and forming in reverse order. How the team develops depends on variables like change and turnover. Ascertain from team about which stage of development are they currently in and what is required for them to progress further. This can be done in several ways. An example is an initial survey of team that generates information on how team interactions and team functioning are perceived. So a survey includes topics such as conflict resolution, communication, trust and commitment. It is good to conduct such surveys every quarter to assess progress of team. Another way of checking ‘pulse’ is to conduct periodic candid discussions about what works and what does not. Communication channels must always be open. Identify a modality to evaluate work style of every team member. Through such an exercise, the style preferences of each team member comes into light, along with his/ her contribution to the team which helps team members adapt to each other and work better for the company. Don’t wait too long to frame a team charter. A charter created by members of the team should indicate boundaries of behaviour and general guidelines. This will specify expectations and clarify what is intolerable and what is acceptable behaviour. But make it clear that the charter can be easily amended and ensure everyone has a copy. Ensure all team members have a common skill base for problem solving, conflict resolution, communication etc. Only such teams are found to be efficient and productive. Technical expertise is only half the story. Is there clear communication about expectations of team leaders and team members? This implies more than job descriptions. For instance, what do team members expect out of working together? (Creativity, expression etc). One can use computer time management software for achieving efficiency. Target two way interactions, exchanging of ideas and development of new insights during the course of usual communication. Encourage team members to express their opinion on how they view a situation. In the initial stage, consider a series of team sessions which incorporate team building activities. After the team has been established, you may have bi-annual or quarterly sessions for team building. This may range from rope climbing to classroom experience. These are some tips on how to build up a winning team.